I would like to wish all of our families a wonderful Christmas and a safe and happy holiday season. We all loved working with your children in 2017 and are passionate about helping them to grow and achieve their potential. It is very rewarding for all of us when we see children break through to a new skill level. 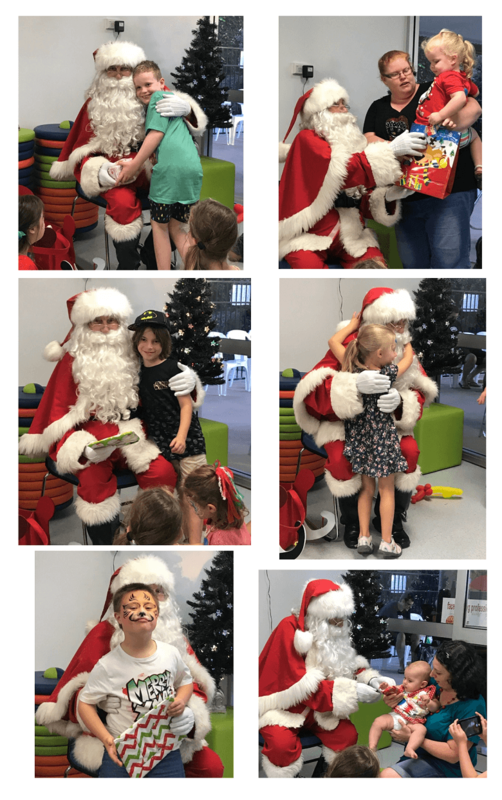 Our Children’s Christmas Party was incredible again this year, as you can see from the photos. 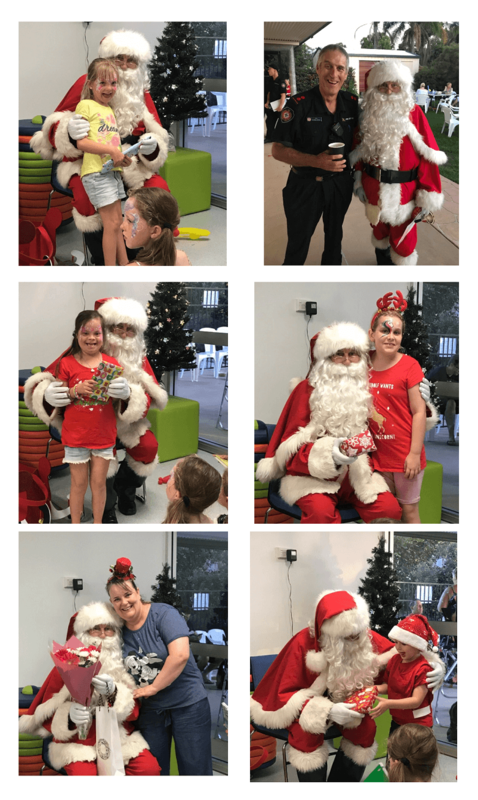 I hope that you liked having the party at our new Kawana centre which has big indoor and outdoor areas for children to play safely while Mums and Dads can relax. One family even travelled all the way from Cooloola! I’d like to thank Margaret Murphy and her family for organising the party again this year. 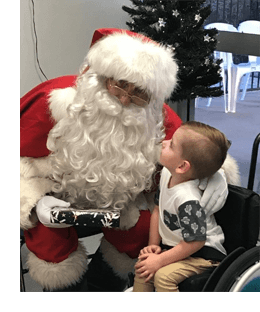 Margaret kindly organised donations from generous local businesses including PFD Foods, Nambour Heights Butchers, Banjo’s Bakery at Warana, Wimmers Soft Drinks, Village Roadshow Theme Parks, Maleny Botanic Gardens and Bird World, Sizzler Maroochydore, and Aussie World. 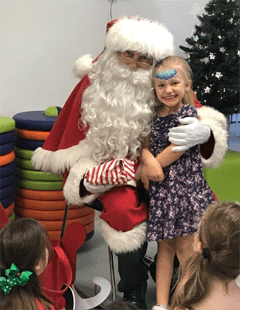 Lauren from Cool Faces was very popular with her artistic face painting, while Rex Eggmolesse got everyone’s toes tapping with his amazing Christmas songs. 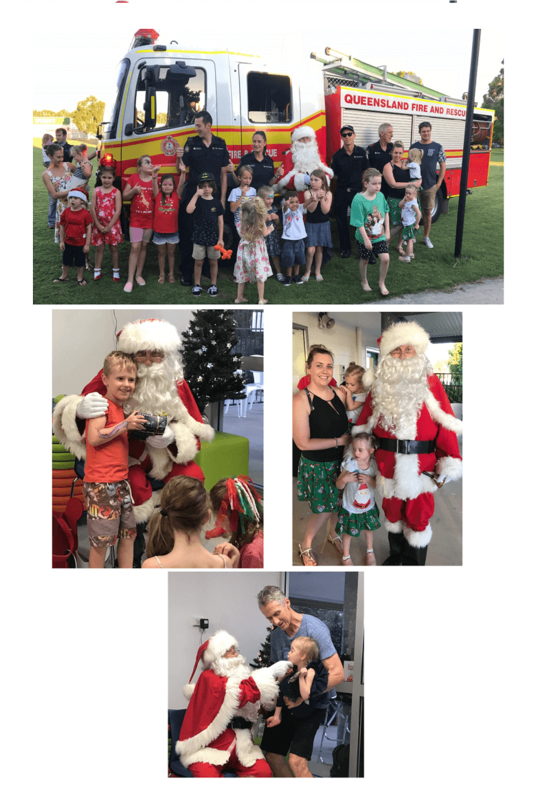 And a special thank-you to Santa for making the time to visit from the North Pole and to the Fire Brigade who brought Santa in their big red truck with the flashing lights! On behalf of the Board and all the staff, I wish you a safe and happy holiday and look forward to seeing you again in 2018! Have fun, watching your child learn will be enjoyable for everyone. 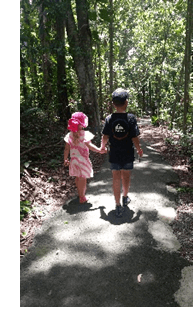 In 2018, the Children’s Therapy Centre will be running Connect and Learn groups for children in Year 1 and 2 with difficulties in social communication including children with Autism Spectrum Disorder. The group promotes social interaction and improves executive functioning skills while participating in fun, functional activities such as cooking, gardening, construction and games. Call our Centre Coordinators to register your interest and find out more about the Connect and Learn Groups. In our last newsletter, we discussed the importance of giving feedback to our children. This month, we will look more specifically at the process of providing feedback. When should we use feedback? To improve our children’s understanding of themselves, we can provide feedback around their feelings. This helps them to make the links between what impacts on them and their response, “I see your sad face when you lost that balloon”. How do we use feedback with our children? Describe what they did, “Wow, you are pedaling so fast”. Describe what you are liking, enjoying or admiring, “I love how you kept trying to get those pedals going”. Thank them when they demonstrate skills you appreciate or would like to foster, “Thank you for listening to me”. Be specific. Children need to know precisely what it was, so they can repeat it again. Use language appropriate for their level of understanding. Remember to be authentic. 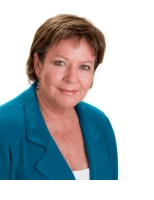 Using feedback to evaluate or control can disempower children and affect their self-esteem. Our prime agenda is to delight in our children and support them to understand themselves. This is the path to developing self-awareness and awareness of others. In our next newsletter, we will talk about feedback that guides rather than controls. 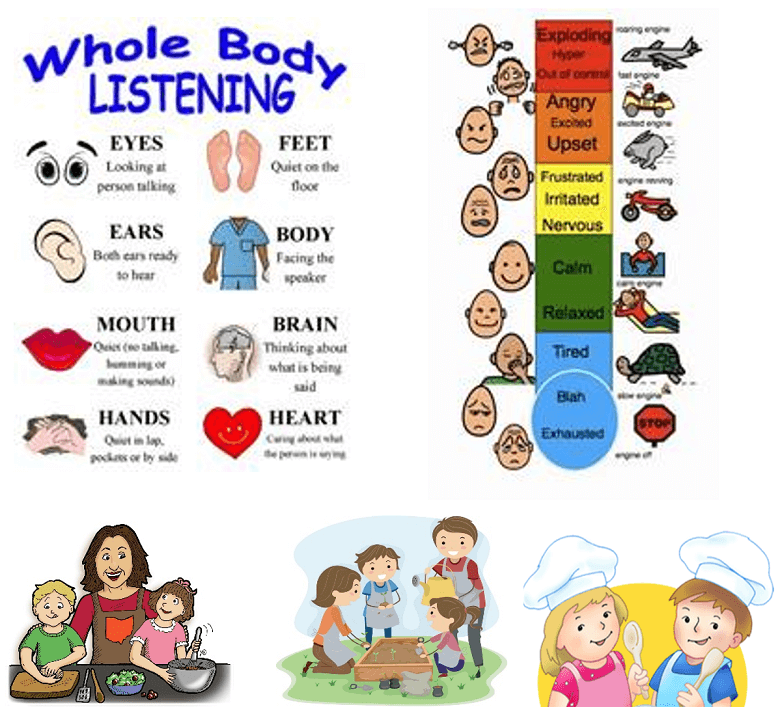 A Social Skills Programme for Children aged 8-12 years. 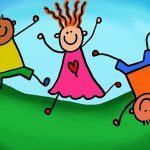 Our Children’s Therapy Centres are offering small-group social skills programmes in 2018 for children with Social Anxiety Disorder, high functioning ASD, and children with social and emotional challenges. Prevent and manage teasing and bullying behavior. The group uses games, activities and workbooks to introduce children to new skills through computer games played between sessions. 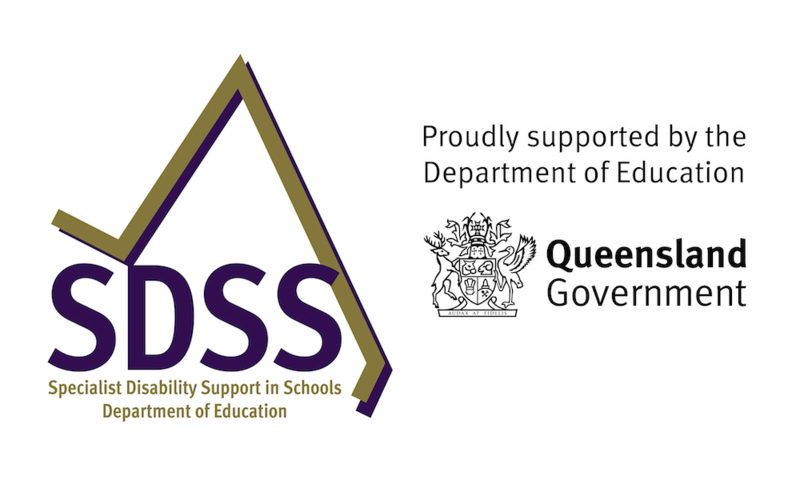 Parent information sessions and school follow-up are included in the programme. We have had wonderful feedback from children and families who have participated in this programme. Please call our Centre Coordinators to register your interest, or to find out more about this programme. The Inclusive Communication group is run by two Speech Language Pathologists at our Nambour Centre. Following very positive feedback from participants, we will be running the group on Wednesdays each fortnight in 2018. 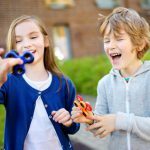 Is your child experiencing difficulty communicating using speech? Has your child been introduced to using key word signing, symbols, a communication book or a device to support their communication? Would you and your child benefit from some extra practise using alternative and augmentative communication (AAC) in a social context? 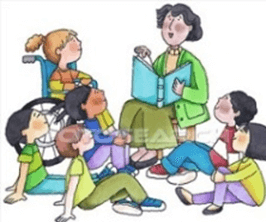 If you answered “yes” to any of these questions, this group may be perfect for you and your child to practise using AAC to extend their current communication skills. Please call Centre Coordinator, Kylie Robinson, on 5441 7199 for further information or to sign up. Play dough or plasticine exercises e.g. pinching, squeezing, and rolling. Using tweezers (or another similar tool) to transfer paper balls from one container to another. Tear paper to make a picture or paper mache. Plastic syringes e.g. squeezing water. Make things from pipe cleaners e.g. cat, box shapes. Make up cards showing different pictures made up of matchstick lengths. Child to attempt to replicate these with matchsticks. Thread large coloured beads onto a think shoe lace. Grade the activity with smaller beads if managing well with the large beads. Conflict is something every child will experience and it can be upsetting and confusing. However, it is possible for a child to learn how to sort out problems in a positive way. Start by letting your child know that it’s possible to find a good solution e.g. “I’m sure if we think about this we might find a way of making everyone feeling good”. Help children to work out what they really want by asking them what they would like to have happen e.g. “You say you wish your friend would go away. I’m wondering if you also wish that you could join in his game?”. Help your child to understand the other person’s perspective. Ask them what they think the other person might be feeling. Together, brainstorm different ways that they could solve the problem. Help the children to choose the options that they think work best for everyone, and get them to have a “practice” with you first. Stay ‘available’ after they have had a go and talk about it after they have made a real attempt. Why is it so important to crawl? 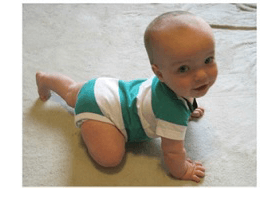 Crawling develops proximal joint stability. “Proximal” means muscles near the center of your body. You may know them as the “core” muscles. This helps align the spine and develops muscles of the hips, shoulders, neck and trunk. The hip and shoulder joints are ball and socket joints. They are quite shallow and unstable at birth and stability is gained by weight bearing activities. Crawling involves weight-bearing through both joints and is ideal for improving joint stability. The strong proximal muscles provide a stable base to develop other gross motor and fine motor skills. Coordination – the reciprocal movement required in crawling. Moving the opposite side arm and leg simultaneously is important for control and fluidity of movement. This reciprocal movement is also required for walking and running. Babies can connect with parents in different ways. They can turn around and look at parents and their surroundings, giving them a stronger self-identity and independence. The repetitious movements of crawling help stimulate and organize neurons in the brain. This allows the brain to control cognitive processes such as comprehension, concentration, decision making and memory. Binocular vision – the baby will look into the distance and well as back at the hands. This helps with perception and to train the eyes to look at different distances. These skills are used later in life such as when looking at the board at School and copying things to the desktop. Cross lateral movement strengthens the left and right side of the brain, allowing increased communication between the two sides of the brain and enhanced learning. These activities provide proprioceptive input to the joints which has a normalizing effect on the nervous system, allowing the body to organise itself for useful activity. Proprioceptive input can also help calm a distractible or overactive child as well as arouse an underactive child. In addition, some of these activities develop shoulder, pelvic and core strength as well as improve bilateral hand function and coordination. Contact our Centre Coordinators if you have concerns about your child’s gross motor, fine motor coordination and concentration.